While Toyota's Scion xB really invented the modern "tall wagon" category, the runaway sales champion in the segment is the Kia Soul. 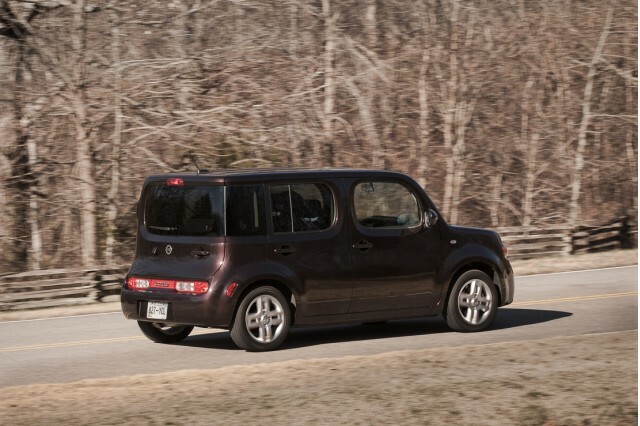 And among the also-rans sits the even-funkier-than-Soul 2014 Nissan Cube, with its asymmetric wraparound rear window and small dash-top panel for growing grass. Sales figures for the Cube have been dismal--just 5,461 Nissan Cubes were sold last year (and 7,667 the year before). Kia, meanwhile, delivered fully 118,079 Souls last year, including in the latter months its new second-generation model, and 115,778 in 2012. Now Nissan has quietly withdrawn the Cube from sale in Canada, leading to inevitable speculation over the oddball wagon's U.S. fate as well. Green Car Reports reached out to Nissan for comment on the future of the Cube, but didn't get a lot of information. "The 2014 Cube will continue to be available at this time," said Dan Passe, Nissan's senior manager for brand communications. "An announcement regarding a 2015 model will be made at a later date." 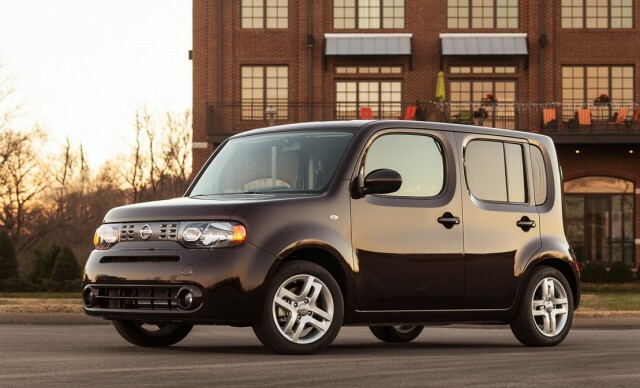 The Nissan Cube was introduced as a 2008 model, two years before the 2010 Kia Soul. Honda's Element was one of the earliest tall-wagon entries, arriving as a 2003 model, and the second-generation Scion xB was launched the same year as the Cube. 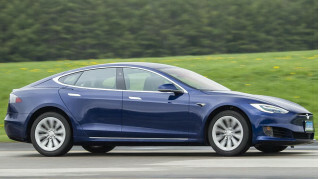 It came with a 1.8-liter four-cylinder gasoline engine paired with either a six-speed manual gearbox or a continuously variable transmission (CVT). Gas mileage was rated at 28 mpg combined (27 mpg city, 31 mpg highway) for the CVT version, and 27 mpg combined (25 city, 30 highway) for the manual. Neither vehicle did well, however: Scion's larger, updated xB never stirred the model's fans like the smaller, odder, less powerful earlier car. Honda, meanwhile, killed off the slow-selling Element after 2011. 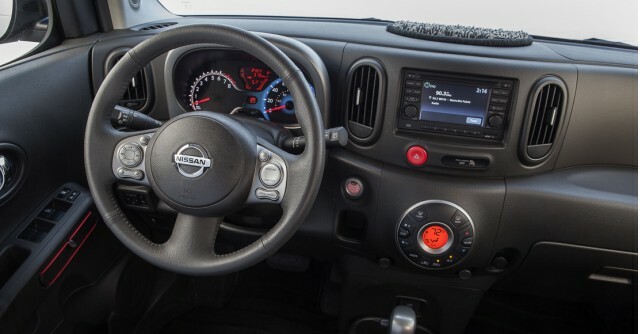 Adapting the Cube for sale in the U.S. was a pricey proposition for Nissan. Not only did it have to "Federalize" the car, but it had to develop new tooling for the previously Japan-only model that provided for a rear door hinged on the opposite side to the one on the right-hand-drive home model--and new asymmetric body-side panels as well. To put the slow sales of the Cube in perspective, it sold at less than a quarter the rate of the Nissan Leaf electric car--a vehicle with far more challenges in the market. 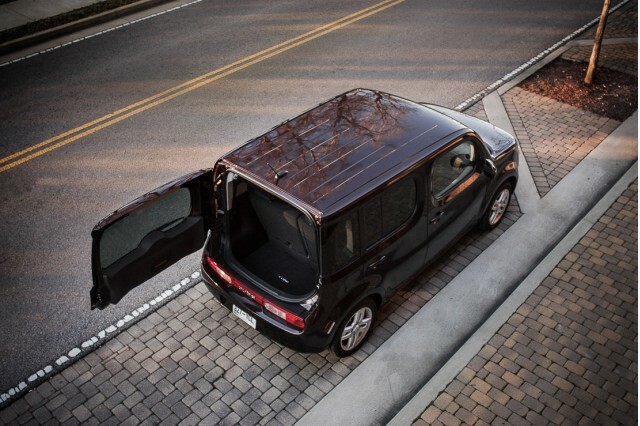 So we suspect we'll be saying goodbye to the asymmetric shape and rounded window openings of the Nissan Cube after this year. If you've always wanted one, now's your chance to buy one new.